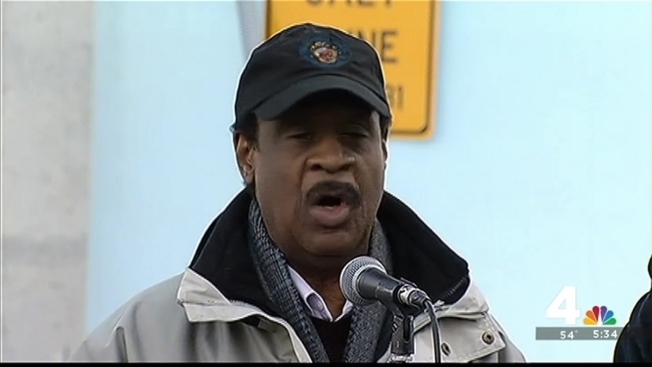 Montgomery County Executive Ike Leggett promised Tuesday every county neighborhood will have at least one path plowed by 7 a.m. Wednesday. This does not mean streets will be cleared to bare pavement, Leggett said. He reminded residents county crews will continue working around the clock. After 7 a.m., residents on missed streets should report them. Montgomery County has 200 of its plows and more than 600 contractors moving snow. “We get complaints, certainly, but we've gotten kudos and so forth,” Montgomery County Department of Transportation Director Al Roshdieh. But some main commuter routes, like River Road, are the state’s responsibility. "I know the state is challenged, but they have probably not done the job Montgomery County has done, although the state has a large segment to clear as they cover the entire state," Leggett said.